The Rapid Packed Math technology is essentially hyper-threading for GPUs. In some cases, RPM could double PS4 Pro's performance, overtaking the Xbox One X. Apparently, the Xbox One X does not support the RPM feature. 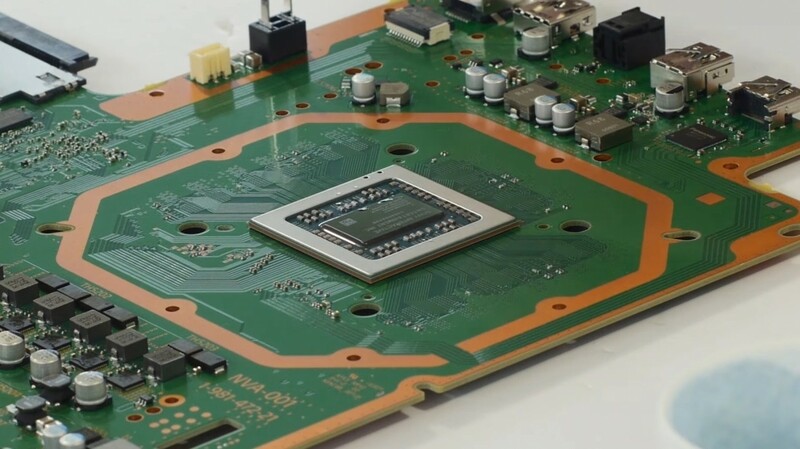 Sony launched their PS4 Pro console in late 2016, and it turns out the GPU that powers the new console is based on AMD’s Polaris architecture, just as the latest RX Vega GPUs announced a few weeks back. The Polaris architecture is said to feature the Rapid Packed Math (RPM) technology that will benefit both the PC and the PS4 Pro. Microsoft also opted to include an AMD GPU in the upcoming Xbox One X, but it looks like the RPM feature was not activated in the upcoming console. PS4 Pro’s overall specs are clearly inferior to those of the Xbox One X, but through the RPM technology, it seems like the difference could be reduced significantly. Rapid Packed Math can double the amount of operations when less precision is required, switching from full-float to half-float operations. Dan Horbury at Mad Fellows Games compared the RPM feature to the hyper-threading technology found in CPUs. Hyper-threading has been around in CPUs for more than 10 years now and allows unused parts of a processor to act in parallel so the processing speed is essentially doubled. Similar to this, the RPM technology would allow shaders to run two 16-bit operation in parallel, instead of a single 32-bit operation. In some scenarios, depending on how well the games are optimized, the PS4 Pro could effectively double its performance, from 4.2 to 8.4 teraflops, overtaking the Xbox One X, which is capable of only 6 teraflops and does not support RPM. Horbury cautioned that the performance gains wouldn’t exactly be doubled and this will only happen then 32-bit precision is not required, thus reducing overall fidelity. PC games can benefit from the RPM technology as well. AMD has revealed that the upcoming FPS Wolfenstein II: The New Colossus and Far Cry 5 will support this technology.